NBA free agency is an exciting time of new hope for some, and a torturous waiting game for others. Many teams are able to reload their rosters by bringing in new talent, while others have to sit back and watch some of their better players walk away for free. So far several notable deals have gone down and the free agency landscape is beginning to take shape. However, the rumour mill remains in overdrive, and many big names like Dwight Howard, Andre Iguodala and Josh Smith have yet to find a home for next season. Lets look at some of the players who have already signed contracts. 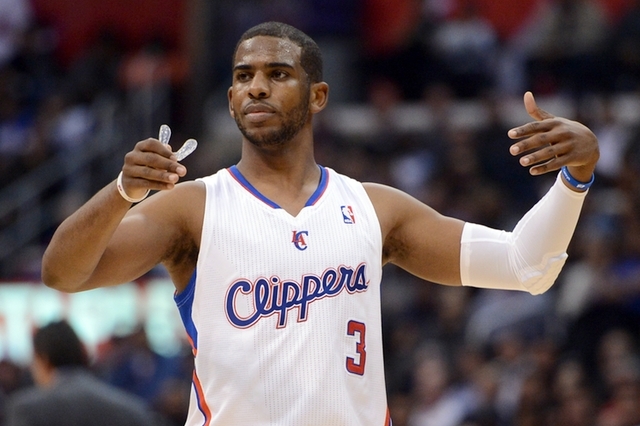 The Los Angeles Clippers were able to re-sign coveted unrestricted free agent Chris Paul to a five-year, $107 million deal. Paul announced his signing tweeting, “I’M IN!!! 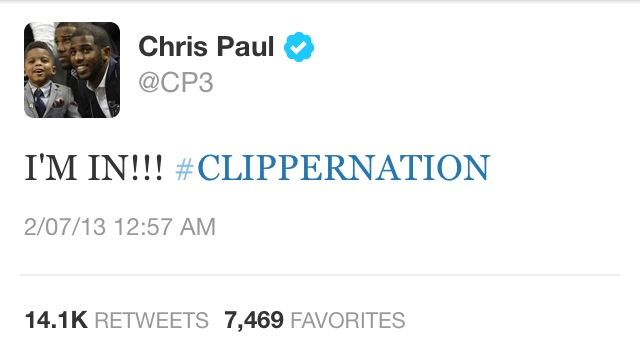 #CLIPPERNATION”. Since arriving in 2012 before the shortened lock out season Paul has reinvigorated the less fancied LA franchise, making the playoffs (for the first time since 2005-06) in his first season and helping them win a franchise record 56 games in 2012-13. Retaining arguably the best point guard in the league solidifies the Clippers as one of the best teams in the west. David West made no secret that he wanted to remain with the Indiana Pacers when his contract expired at the end of the 2012-13 season. That sentiment became official this week when he signed a new three-year, $36 million deal. The Pacers stretched eventual champions Miami Heat to seven games in the Eastern Conference Finals, and re-signing West and keeping the nucleus of that team together (plus Danny Granger returning from injury) has them set for another run at the champs in 2013-14. Another unsuccessful Conference Finalist, West runners-up Memphis Grizzlies, also held onto an integral piece of their team after re-signing guard Tony Allen to a four-year $20 million contract. No one best represents what the Grizzlies stand for than “The Grindfather”. Allen coined the famous “Grit and Grind Grizzlies” motto that represents the strong defensive and rebounding unit that is the Memphis Grizzlies. Allen was voted to last years NBA All-Defensive First team, receiving the most votes of any player in the league. Meanwhile, several other role players have secured their basketball and financial futures after finalising deals early into free agency. The Washington Wizards re-signed eight-year forward, Martell Webster for $22 million over four years. Also heading to the Wizards is former VCU star Eric Maynor. Details of the deal were not disclosed, but it is believed to be a multi-year deal. Reports suggest that the Chicago Bulls have agreed to sign Mike Dunleavy Jr. for $6 over two years. Free agency can bring with it a flurry of trades as teams look to clear cap space or can afford to replace expiring deals. Lets have a look at some of the deals already done. It might seem like an irrelevant deal, however, the Houston Rockets dealing 2012 fifth overall pick, Thomas Robinson, to the Portland Trailblazers for two second-round picks and the rights to Kostas Papanikloau and Marko Todorovic, could be one of the most influential deals this free agency period. Houston has made it no secret that they have made Dwight Howard their number one priority this offseason. By dealing Robinson for two players that can be stashed overseas opens up a further $3.5 million to help sign Howard to a max contract. For Robinson, Portland becomes his third team in two seasons. The former Kanas standout struggled for form and minutes with Sacramento and Houston averaging 4.8 ppg and 4.5 rpg throughout his first season. The Trailblazers lack of depth and potential exit of LaMarcus Aldridge could be the opportunity Robinson needs to showcase his talents. Last season the New York Knicks predicated much of their success on their ability to light it up from beyond the arc. This season that strategy doesn’t look likely to change after they acquired former number one pick, Andrea Bargnani from the Toronto Raptors in exchange for Marcus Camby, Steve Novak, Quentin Richardson, a 2016 first-round pick and two future second-round picks. The trade seems a little lopsided at first, but when it boils down to it the Knicks were going to pay $8 million next year for Camby and Novak, and only need to pay $3 million more for Bargnani. While the Raptors have been desperate to rid themselves of Bargnani for years. The trade could signal Toronto’s entry to the tankathon lottery for hometown stud Andrew Wiggins in next year’s draft. While Bargnani could find himself reinvigorated in an offence that panders to his fondness for jumpshots, and no longer requires him to bare the brunt of the scoring load. Finally, the Los Angeles Clippers have continued their march towards another strong season and hopefully deeper playoff push after acquiring several strong role players. After securing the signature of lead point guard Chris Paul LA felt comfortable enough to deal much sought after backup Eric Bledsoe to the Phoenix Suns. In return the Clippers receiving Jared Dudley and JJ Redick (via sign and trade, $27 million over four years, with Milwaukee – who receive two second-round picks). The trade is a win for all parties involved. Phoenix gets another building block to go with Alex Len and their inevitable top five 2014 draft pick. Los Angeles receives two established sharpshooting wings who can also play solid defence. While, Milwaukee at least receive some compensation for Redick leaving.